The Rotherham hotels listed below are either in the town or we have given a rough guide as to how far they are from Rotherham. We hope you enjoy your stay and find your ideal accommodation. Station: ROTHERHAM. 3miles. From North (A1): leave A1 at Junction 44 onto M1 signposted London/Leeds. Leave M1 at Junction 33 & follow signs for Rotherham on A630. Continue to end of dual carriageway & turn left at roundabout, signposted Rotherham. The hotel will be visible on the right hand side. With free health club access, Welcome Inn offers free parking and air-conditioned rooms with free broadband. It is about 2 miles from Meadowhall Shopping Centre and close to the M1. On the A631 near Wickersley, between junction 1 of the M18 and junction 33 of the M1, only 2.5 miles (4 km) from the centre of Rotherham, the hotel offers comfortable, great-value rooms and free parking. 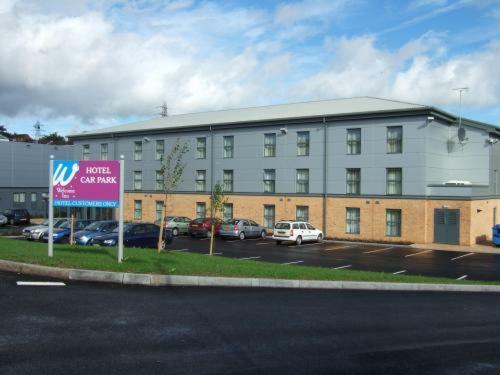 Boasting excellent transport links around South Yorkshire, this 2-star hotel is located at the start of the M18 motorway, at junction 1, and close to junction 32 of the M1. 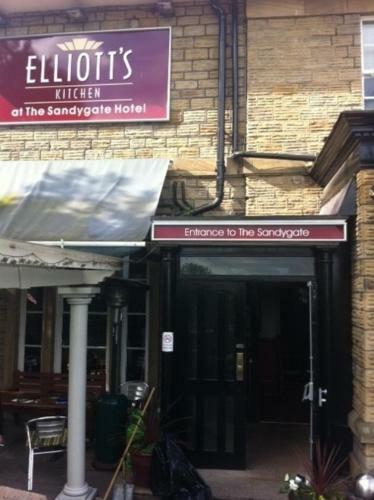 In the West Riding county of Yorkshire, this hotel is located in the small town of Wath-upon-Dearne. It has traditionally furnished rooms, free Wi-Fi and free parking on site. Good Night Inns is less than a mile from Rotherham town centre and 5 minutes' drive from the M1, junction 33. This Grade II listed building offers rooms with free Wi-Fi and a varied breakfast menu. This modern hotel is just off junction 33 of the M1, 4 miles from Sheffield. It has free Wi-Fi, free parking and air-conditioned rooms with king-size beds and flat-screen TVs. 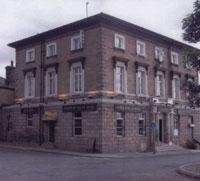 The Aston Hotel Sheffield/Rotherham is 1. This newly refurbished hotel is 1 mile (1.6 km) from Rotherham town centre. It has free Wi-Fi, a pool, a gym and en suite bedrooms with 32-inch LCD satellite TVs. This friendly hotel is conveniently located approximately 5 minutes walk from Rotherham town centre, which offers a variety of nightlife, restaurants, clubs and theatres. A 3-star hotel less than one mile from junction 1 of the M18 motorway, the Best Western Elton Hotel offers a restaurant, a modern bar, free Wi-Fi and free parking. 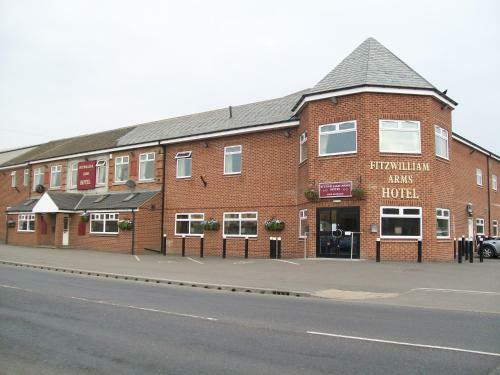 The Fitzwilliam Arms Hotel is situated just outside Rotherham centre, 5 minutes' drive from the train station. It offers free Wi-Fi and has space for free private parking on site. A 15-minute drive from Rotherham town centre, this Park Inn with free Wi-Fi, gym, sauna and steam room is close to Rotherham Express Park. There is free on-site parking. The Holiday Inn Rotherham Sheffield is less than 3 miles from Sheffield Arena and the Don Valley Stadium. It offers a leisure club with pool, restaurant and children stay free. This 17th century, grade 2 listed residence offers comfortable en suite accommodation and period features with modern comforts. The oak-beamed breakfast room allows you to dine like a king, in a welcoming, relaxed atmosphere. 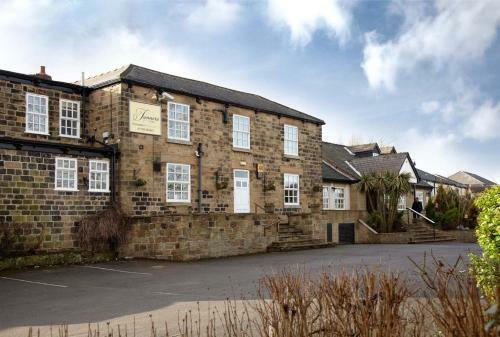 Ideally located within easy reach of the M1, M18 and A1 motorway networks, this hotel is ideally placed for Rotherham, Sheffield, Doncaster and surrounding areas. 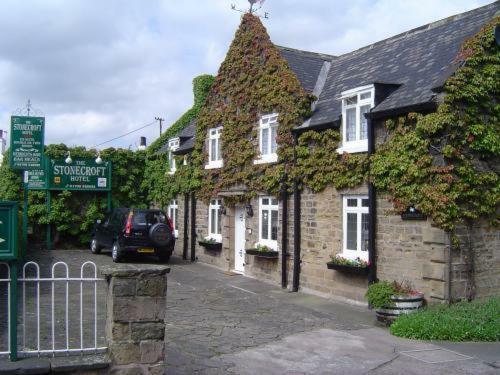 The Best Western Consort Hotel is a fantastic venue to suit all your needs. Established in 1963, this small family-run hotel in Rotherham aims to offer you a friendly home from home atmosphere where all the staff care for your wellbeing.